Few minerals have a pronounced effect on the body as magnesium. The mineral is abundant in the body, and it makes up more than 76 percent of the enzymatic processes in our body. Most importantly, it serves a role in converting biochemical energy into nutrients with the end goal of releasing waste products from the body. It also serves a role in mitochondrial function by helping the body absorb and break down nutrients to create energy for cells. While getting magnesium from your food offers the best option for ensuring proper mineral levels, you can also get magnesium from your supplementation if you choose carefully. As one of the most depleted minerals in the soil, getting optimal magnesium levels on a keto diet may prove challenging without supplementation. Finding a magnesium supplement that is bioavailable and easily absorbed into the body is no simple task. Magnesium carbonate. magnesium malate, magnesium glycinate and magnesium citrate tend to have the highest bioavailability when taken with water on an empty stomach. Magnesium oxide is a popular form of elemental magnesium, but it is also very poorly absorbed by the body. 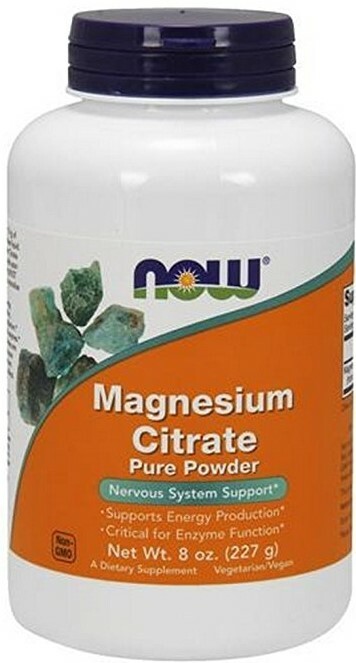 Magnesium chloride supplements have better absorption rates because the addition of the chloride element improves acid levels in the stomach, which improves absorption and is ideal for people who have low stomach acid. Forms of magnesium that absorb well include magnesium malate, magnesium citrate, magnesium ascorbate and magnesium carbonate offer decent absorption rates. Magnesium hydroxide, magnesium sulphate (Epsom salts), magnesium phosphate and magnesium hydroxide don't absorb well. While you should contact your health care practitioner to have your magnesium levels checked to verify a deficiency in magnesium, there are several signs that may indicate you have a magnesium deficiency. A person with a mild deficiency who lacks magnesium may lose their appetite, experience headaches, think unclearly, feel nauseous, may vomit and experience unusual fatigue. More severe deficiencies may include abnormal heart rates, palpitations, muscle cramps, contractions, fibromyalgia and numbness and tingling in the extremities. Getting the right levels of magnesium may help reduce bone loss found in patients with osteoporosis. Some research suggests magnesium may also play a role in bipolar and mania. Magnesium can ease premenstrual syndrome symptoms, including nervous tension, anxiety, irritability, fluid retention and moodiness. The American Academy of Neurology notes that magnesium may help reduce incidents of migraines. Keto dieters often need supplementation with magnesium because much of the body's magnesium is flushed out. While it's tempting to believe that there is one best form of magnesium that will suit all individuals, finding the right form of magnesium is not so simple. It's important to select the right form for your situation. Most keto dieters are getting much of their magnesium from meat products, so magnesium citrate doesn't always provide the best option. If you feel you have parasites or a condition that prevents magnesium absorption, then magnesium glycinate is your best option. Magnesium threonate is best for people who are experiencing issues with cognition. Look for a supplement that contains only magnesium. If you're essentially healthy but you expect you have a magnesium deficiency as a result of a keto diet, a safe bet is a supplement that includes magnesium glycinate. It offers the best all-around supplement for most situations. You'll find this form in chelated magnesium products. It also happens to be one of the most commonly prescribed forms by health practitioners. This is also the form that is least likely to cause diarrhea, which is extremely important on a keto diet. Aim to avoid mixing your magnesium with vitamins since some vitamins can block the absorption. A good rule of thumb is to take your minerals in the morning about an hour before eating and two hours before taking other supplements. While the Mayo Clinic recommends taking the supplement with food, you should try taking it on an empty stomach first. Certain foods may interfere with the absorption of magnesium. Start with a small amount and work your way up. There are many forms of magnesium, but pills tend to offer the most elegant solution. Taking a B6 supplement along with magnesium may aid absorption. It's important to estimate how much magnesium you're getting each day. Adults and teenagers should aim to bring in a total of 270mg to 400mg per day for men and 280mg to 300mg per day for women. Pregnant women should take 320mg per day and breastfeeding women should take 340mg to 355mg per day. By tracking the estimated amount of magnesium in your food, you can increase your supplementation to ensure you hit these goals. Magnesium tends to get flushed out of the system when taken in excess, but you should start low and work your way up to your maximum daily dose. This will ensure you don't have as many side effects. Magnesium may interact with prescriptions so it's important to check any possible issues with your doctor or pharmacist. The most common side effects include nausea, vomiting, low blood pressure, confusion, slowed heart rate and possible coma. Taking the supplement incorrectly may also increase the risk of cardiac arrest, death and mineral deficiencies. It's best to work with a doctor to ensure that you get the right level of magnesium without taking too much of the valuable mineral. Magnesium supplements may interact with aminoglycosides, antibiotics, blood pressure medications, calcium channel blockers, diabetes medications and several other medications so it's important to ensure you're not taking any supplements or medications that may cause adverse conditions. Life Extension Magnesium Vegetarian Capsules are designed specifically to improve your metabolic profile. It can also relax the smooth muscles within the blood vessel and helps reduce inflammation. The product has been tested, and it includes within 4 percent of the magnesium listed on the label. It uses magnesium citrate and glycinate, which have a high level of bioavailability. The combination of more than one form of magnesium makes this supplement highly effective. While it's easiest to take in capsule form, the capsule can be opened so that you can add it to water or other beverages. It also includes the recommended daily allowance of magnesium, and the body should be able to absorb most of the magnesium depending on the individual's health. The supplement consists of a single vegetarian capsule for each administration. Third-party tests have found this supplement to pass all purity tests. The supplement has received the highest possible nutritional value rating from LabDoor, Inc. The supplement contains some magnesium oxide, which has a lower bioavailability. 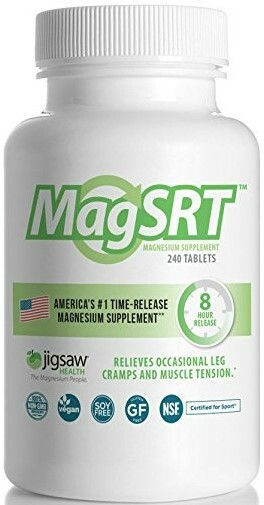 Jigsaw Magnesium w/SRT includes some of the best active and bioavailable magnesium available in a supplement. The product includes B6 and vitamin C to help with absorption. You'll also get folate and vitamin B12 for enhanced delivery and energy levels. The product is completely organic, and it uses dimagnesium malate, which is a form of magnesium that has a high level of absorption. While the company hires third-party labs to verify the ingredients, other labs have also provided evidence to support that the product contains the elements that are listed. All of the elements listed have been clinically tested. The magnesium level on the label exceeds its claim by 5.2 percent based on independent tests. It contains a suitable form of magnesium, and it is bolstered by important vitamins that won't interfere with absorption. This supplement is certified organic so you can trust the ingredients. A single dose is split up over four tablets, but this makes dosing easier as well. Independent lab tests list the purity of the product at only 71 percent. 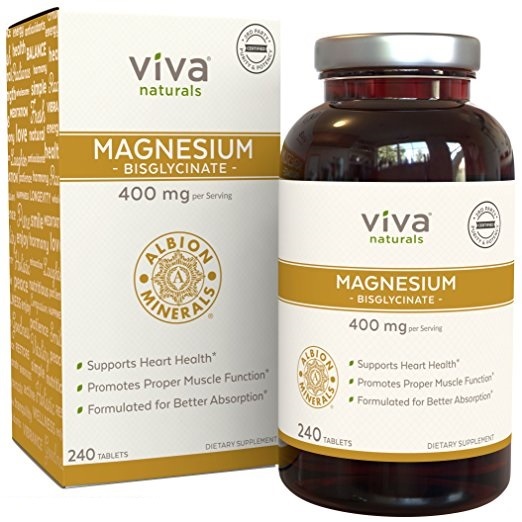 This product only uses one form of magnesium, but the single form is a safe and sure bet for most people who need additional magnesium. Using magnesium bisglycinate chelate, the product offers a high level of absorption. This is definitely a product you should take on an empty stomach to get the best absorption. Magnesium bisglycinate has been shown in clinical tests to be four times more effective than most other forms that are available commercially. The specific form of magnesium is designed to ensure the proper transport of magnesium to the intestinal wall. This makes it easier to absorb. The product has a high level of accuracy for its claims with the magnesium level within 4.5 percent of the listed levels. It comes in a dose of 209mg spread over 2 tablets to make it easier to adjust your levels. The product has been tested and found to have a high projected efficacy. Independent labs have indicated the purity of the product to fall at about 69 percent. The company was previously known as Viva Labs, which could cause some confusion for consumers. When it comes to purity and safety, this is one of the best options in our list. It has no high-fructose corn syrup, no artificial preservatives, no dairy, no eggs and no BPA in the manufacturing of the bottle. The magnesium concentration is a mixture of magnesium citrate and magnesium malate, both of which are considered high-quality ingredients. However, independent tests indicate a rather low efficacy rate, which could be because of the natural ingredients that are used in the capsules. However, when you consider this supplement is one of the most tested and most stable forms of magnesium available, the lower levels of absorption can be forgiven. This product provides a label claim for magnesium that falls within 5.2 percent. Independent labs show that the product has a purity of 81 percent. The ingredients used in this product are some of the safest in our listing of magnesium supplements. This form of magnesium has a projected purity of only 31 percent efficacy. The serving size is one capsule, and it only provides 128mg of magnesium. 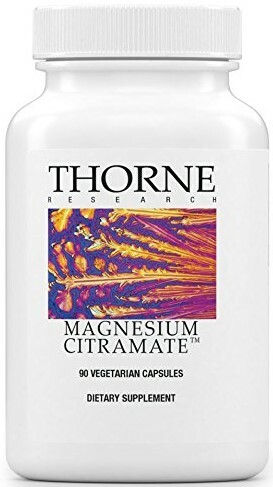 Now Foods normally has an excellent reputation for supplements, and this magnesium supplement does have some strong qualities. It contains magnesium citrate, which is one of the recommended types of magnesium. While the product has a higher than average efficacy rating, there is some concern that independent testing labs have found arsenic in the batches they sampled. The label offers an ingredient accuracy of 91 percent as tested by independent laboratories. The product offers one of the higher levels of efficacy with LabDoor finding a projected efficacy of 49 percent. This product comes in a powder form for more precise dosing. Testing shows that the product contains some concerning levels of arsenic. The label exceeds its arsenic claim by 8.6 percent. Life Extension Magnesium Caps offer the best option to ensure you're getting the right level of absorption and a high level of safety. All magnesium supplements have pros and cons, but this supplement avoids dangerous additives and chemicals. The capsule is vegetarian, and you can get your entire dosage with just a single pill. However, the single capsule is also a downside for people who want different doses.